The Union of Upper Secondary School Students in Finland has estimated that the cost of a general upper-secondary diploma can consequently creep up to 2,500 euros. 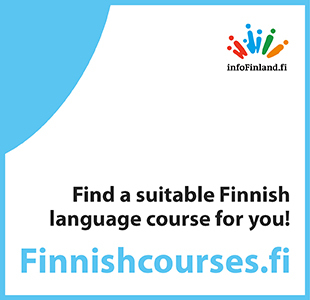 The National Union of Vocational Students in Finland (Sakki) has revealed that the costs of vocational degrees vary from hundreds to thousands of euros depending on the field of study. Well over a quarter (29%) of general upper-secondary students and their families struggle to cover the costs of education, found a survey by the Finnish National Agency for Education (OPH). “Costs are the reason for many to drop out of upper-secondary education, and this is what many upper-secondary students now want to change,” says Alvar Euro, the chairperson of the Union of Upper Secondary School Students in Finland. Jasmina Khabbal, the chairperson of Sakki, stresses that it is of utmost importance to ensure all young people have an equal opportunity to pursue upper-secondary qualifications and study for the vocation they want. “We expect the Parliament to discuss the citizens’ initiative carefully and take action to guarantee a genuinely free and equal upper-secondary education,” states Khabbal. The costs of upper-secondary education are perceived as a reason for why as many as 15 per cent of young people do not pursue post-basic education. The relatively high share is a concern especially due to its potential impact on the employment situation, as the employment rate for people with only a basic education degree is 43 per cent, according to the Central Organisation of Finnish Trade Unions (SAK). Policy makers have proposed that the problem be addressed by either making upper-secondary education free or raising the school-leaving age to 18. The Labour Institute for Economic Research proposed last year that the feasibility and impact of free upper-secondary education be determined in a trial not dissimilar to the ongoing basic universal income trial.